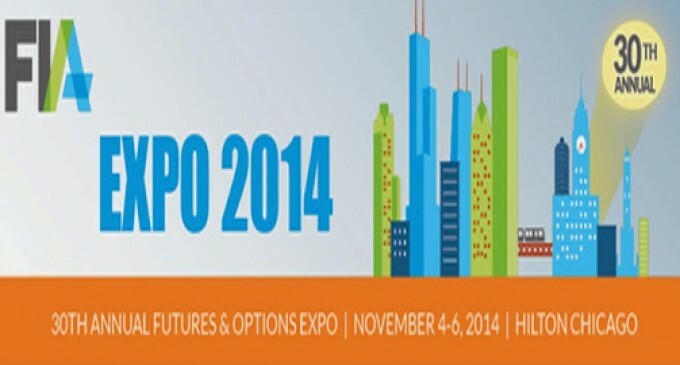 Chicago, IL – Steadfast, a leading provider of private and public cloud hosting, colocation, disaster recovery and managed services, is attending the 30th Annual Futures & Options Expo (FIA) on November 5th and 6th at the Hilton Chicago. The Steadfast team will be at Booth 1004 in the Blue Hall from 10 am – 6 pm on Nov. 5 and 10 am – 4 pm on Nov. 6. Steadfast’s solutions have long provided the needed infrastructure to the futures and financial industries, ranging from high powered dedicated servers, to colocation and cloud needs. Steadfast maintains grandfathered pricing in 350 E Cermak, allowing for companies to find space in the world’s largest data center for reasonable rates. Attending the conference will be Karl Zimmerman, Founder and CEO of Steadfast, Joe Bong, COO and EVP of Sales, Marc Schulz, Managing Implementation Engineer, Patrick Murray, Lead Microsoft Implementation Engineer, Nick Gongorek, Senior Account and Channel Manager, and Andy Salazar, Daniel Hahn, Bryant Sardella, Senior Account Managers. The FIA’s 30th conference also includes charity events and several speakers in the industry, including a keynote address by the new CFTC Chairman Timothy Massad, 140 exhibitors, and plenty of networking opportunities. Registration is available on site or online. Questions about Steadfast’s offerings for the financial and futures industry can be directed to sales@steadfast.net or 312-602-2689 x902. Founded in 1998, Steadfast is a Chicago-based IT infrastructure provider with fully redundant data centers in Chicago and Edison, New Jersey. Steadfast’s services include managed cloud hosting, dedicated servers, colocation, hybrid hosting, and disaster recovery services. These services are all highly customizable, designed to give customers maximum flexibility. By combining services, enterprises can create unique infrastructures tailored to specific requirements. Steadfast’s customers include organizations of all sizes, from small and medium businesses with single cloud hosting accounts, to larger companies with multi-gigabit setups. Steadfast prides itself on its “Always there” philosophy, with comprehensive managed services and support.